A major challenge many South African schools have to face, is a lack of classroom space for its learners. In some cases, such as in rural communities, teachers are forced to teach pupils outside – which, while it might sound like a pleasant experience – is actually quite distracting. Not to mention hazardous in severe weather conditions. 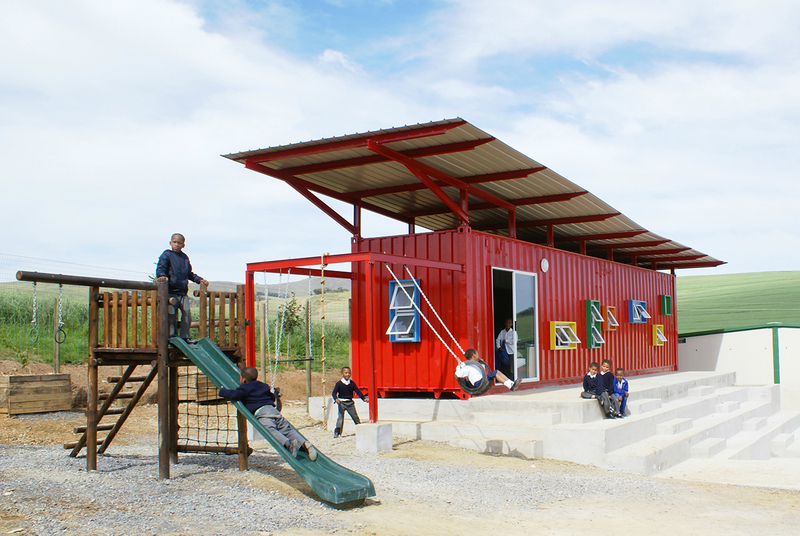 Thanks to the multi-functionality of shipping containers that have been converted, this problem can be addressed quickly and at low cost, making container classrooms an ideal solution that both teachers and learners will enjoy! We can also perform additional container conversions to meet a school’s particular requirements. These may include converting containers into ablution facilities (with toilets, washbasins and showers), libraries, computer centres, science laboratories etc. A & A Containers carries out all conversion work at its own premises, thereby eliminating noise and other disruption issues normally associated with construction at the intended site. When the container is ready for use, it will then be transported to the location and set up according to the client’s specifications. Thanks to our many years’ experience and industry expertise, clients can rest assured that our containers are manufactured against the highest quality and safety levels, while paying close attention to detail. If you need classroom container units, or any further information or assistance, be sure to contact A & A Containers today for quality containers. You’re welcome to call 011-794 6571/6 or email: [email protected].